At Manhattan College, our tradition of excellence and service is a shared endeavor. We are profoundly grateful to the many loyal donors who generously supported our Lasallian educational mission this past year. Thanks to our alumni, friends, parents and students, the 2017–18 Fund for Manhattan raised $2,319,105 for scholarship assistance and other student services. This is the second consecutive year that donors have contributed more than $2.3 million to the fund. Overall giving reached $14,563,838 — surpassing $14.5 million for the third year in a row. The impact of these gifts ultimately is beyond measure. Manhattan has transformed students’ lives for more than 165 years. Today, the College is preparing new generations of worthy young men and women for positions of ethical leadership in their communities and careers. Manhattan College gratefully acknowledges all our generous benefactors. To the best of our knowledge, the information in our Honor Roll of Donors accurately reflects our records. We recognize, however, that omissions or errors, while regrettable, may occur. If you find any inaccuracies, please notify the office of Development at 718-862-7275. 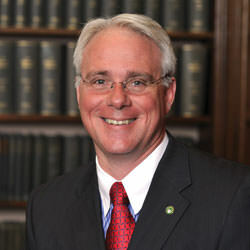 I am delighted to extend my greetings — and especially my thanks — as Manhattan College begins its 166th academic year. Once again, your remarkable generosity has made a substantial difference in the lives of the students we serve. Thanks to you, the past year has been an especially exciting time of growth and transformation for our College. Some of our recent advances are literally reshaping the campus landscape, with new and refurbished facilities well-suited to a technology-driven world. Other changes expand the resources that are essential to our mission of assisting students in need. These developments have a clear purpose — to secure the College’s future as a place of opportunity for all who seek a Lasallian Catholic education. We owe our success to you. This issue of our Honor Roll of Donors gratefully recognizes our generous alumni and friends. We also — proudly — refer to a few key areas that illustrate recent advances. The list is far from comprehensive; I will offer a more detailed review of the past year’s achievements in my forthcoming President’s Report. I am pleased, however, to share just a few highlights here. On April 26, the College broke ground for the Patricia and Cornelius J. Higgins ’62 Engineering and Science Center. This 30,000-square-foot facility — named for the benefactors whose support helped make construction possible — will feature cutting-edge classrooms and laboratories. Together with a refurbished Leo Hall, it will anchor our new South Campus, helping to make the two-block area south of Gaelic Park in its own way as inviting and attractive a space for learning and living as is the original campus “up the hill.” Standing at the crossroads of north and south is, of course, the beautiful Raymond W. Kelly ’63 Student Commons, opened in 2014. Last year was also a remarkable one for the School of Business. 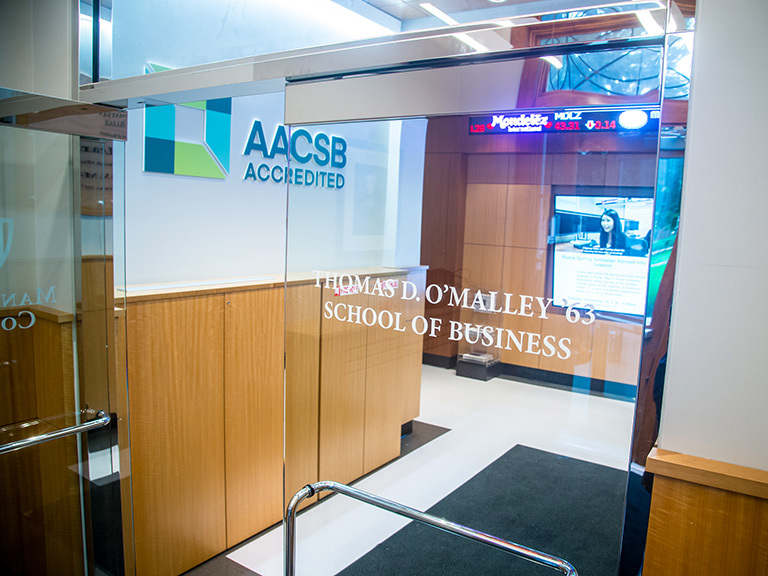 In March, we announced the extraordinary $25 million gift of former trustee and board chairman emeritus Thomas D. O’Malley, in consideration of which we have named the school the Thomas D. O’Malley ’63 School of Business. The O’Malley gift, the largest in the College’s history, provides tremendous support to the College as we enter a new era of business education at Manhattan. 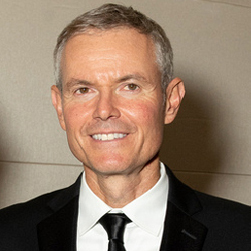 Also in March, following a nationwide search, we named a new dean of the O’Malley School, Donald Gibson, Ph.D. A distinguished scholar and experienced administrator, Dean Gibson is well equipped to lead an already strong school to new heights in the coming years. These are just a few of the ways in which the College is striving, every day, to ensure that our students across the whole range of disciplines — Liberal Arts, Science, Education and Health, Engineering, and Business — have the best possible educational experience inside and outside the classroom. Among the most important aspects of our mission is the personal attention that students receive from faculty. Small classes, extensive opportunities for interaction outside the classroom, personal advising, mentoring — all are central to our commitment to educating our students in mind and heart, body and soul. Such attention is also expensive, and we simply could not do what we do in this fundamental part of our work here if it were not for your support. Your gifts also provide vital scholarship aid at a time of growing need. Manhattan is committed to transforming the lives of all students — regardless of their financial circumstances. This Lasallian imperative has defined our mission since the moment we opened our doors in 1853. Today, thirty-three percent of our students are the first in their families to attend college. Thirty-one percent are from minority backgrounds, and roughly thirty percent receive federal Pell Grants, reserved for students with high financial need. Of course, college expenses are increasingly challenging for all families. Your generosity is often what makes the difference between a student completing or postponing his or her education. It takes a community to build a tradition. Today, thanks to the support of our loyal alumni and friends, Manhattan continues to rank high among the nation’s leading Catholic colleges and universities. Your inspiring generosity this past year has made this heritage of excellence even stronger. I am personally grateful that our 2018 Honor Roll of Donors offers the perfect opportunity to acknowledge your dedication. Thanks to you, this has been another strong year of giving to Manhattan — and the young men and women we serve. Your support has enabled a new generation of Jaspers to excel in our classrooms, laboratories and storied athletic programs. As always, a strong ethical sense informs their many achievements. Moral values are central to a Manhattan College education. 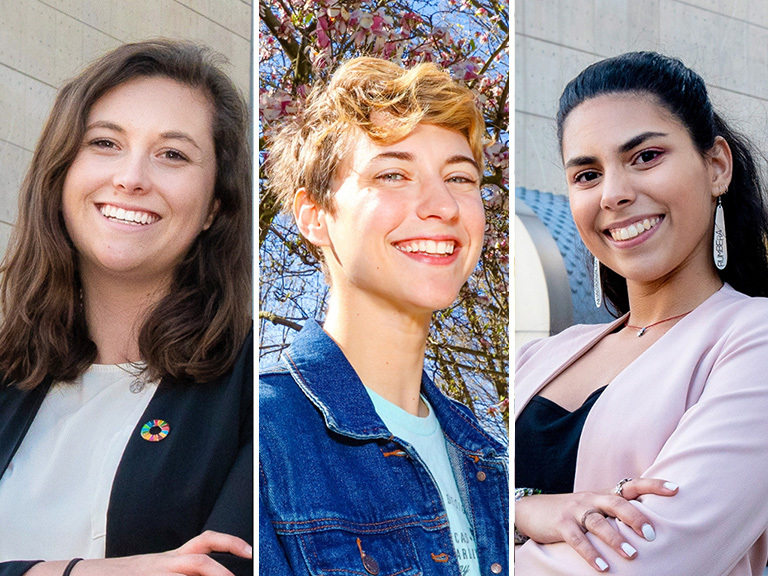 By the time our students graduate, they are more than exceptionally well-prepared: they are ready and eager to make a positive difference in their communities and careers. Your remarkable dedication makes their success possible. For example, alumni and friends turned out in force for our 2018 De La Salle Medal Dinner, honoring Eileen Murray ’80, Hon. D.Sc. ’15, the co-CEO of Bridgewater Associates, LP, and a former Manhattan trustee. The dinner raised $1.1 million for students, programs and other College initiatives. Overall, the Fund for Manhattan continued to generate resources that are critical to life and learning on campus. Of course, many of the students who benefit from your generosity are the first in their families to attend college — just as they have been for more than 165 years. It is uplifting to see how the living charism of Saint John Baptist de La Salle transforms young lives. We simply cannot overstate the role your support plays in this work. I am deeply grateful for, and truly humbled by, all you have done this past year to ensure Manhattan’s position as an outstanding source of opportunity for new generations of worthy students. Every opportunity in life brings new discoveries and revelations. As a Manhattan College graduate, I have always known that our fellow Jaspers are exceptionally dedicated to the Lasallian Catholic values that our College was founded upon. Over the past 12 months, however, it has been my good fortune to see how strongly that commitment resonates throughout the Jasper community. As I complete my first term as chair for the Fund for Manhattan, I would like to personally thank all of you for your support this past year. Everyone represented in this Honor Roll of Donors has played a significant role in strengthening the College’s historic mission: to provide an outstanding, values-based education. Your contributions are both far-reaching and essential to the College’s continued success. The Fund for Manhattan provides financial aid for our deserving young women and men, enhances academic programs and facilities, enriches student services and allows for the development of new initiatives. These are all crucial in preparing our students and allowing them to reach their full potential after their years in Riverdale. 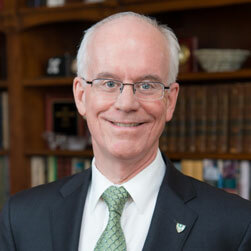 Ultimately, it is through your support that we see results every day as new generations are benefitting from the unique educational tradition that all Jaspers share. Thank you again for your generosity and for continuing to make a tangible difference in so many young lives. Please accept our heartfelt thanks for your generosity this past year. It is because of amazing supporters - like you - that we are able to achieve our mission of providing young men and women with an excellent, values-based education. Watch this video to see how your gift impacts current and future generations of Jaspers. Read about selected donors and why they choose to support Manhattan College.